I remember coming home from the beach and dumping sand out of my shoes. I wanted to hold on to the sand as if the sand could keep the beach with me. No. I thought those tiny grains of sand could keep me at the beach forever. The beach, with its silence and wind, soothing waves and timelessness. 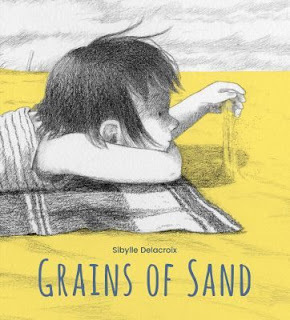 Grains of Sand, a picture book written and illustrated by Sibylle Delacroix is about a young girl who comes home from the beach, digging tools put away, and "blue as the sea". She brightens up when she finds sand in her shoe and comes up with a unique way of solving her problem. She plants the grains. The next few pages show what she thinks the sand might grow into: a field of yellow umbrellas, perhaps? Grains of Sand is a celebration of a child's imagination and of a very human need to hold on to the things that we love, the things that transport us. It is a good book to read to your child after coming home from the beach. 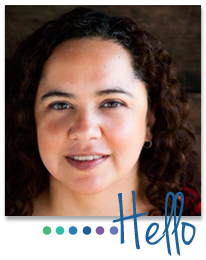 Maybe you can help your child plant his/her grains of sand and imagine what they could become.